Santa Margalida is a small town located in the northern plains of Majorca (Es Pla de Mallorca). The municipality of Santa Magalida mainly includes two resorts, along the Bay of Alcúdia, Can Picafort and Son Serra de Marina. 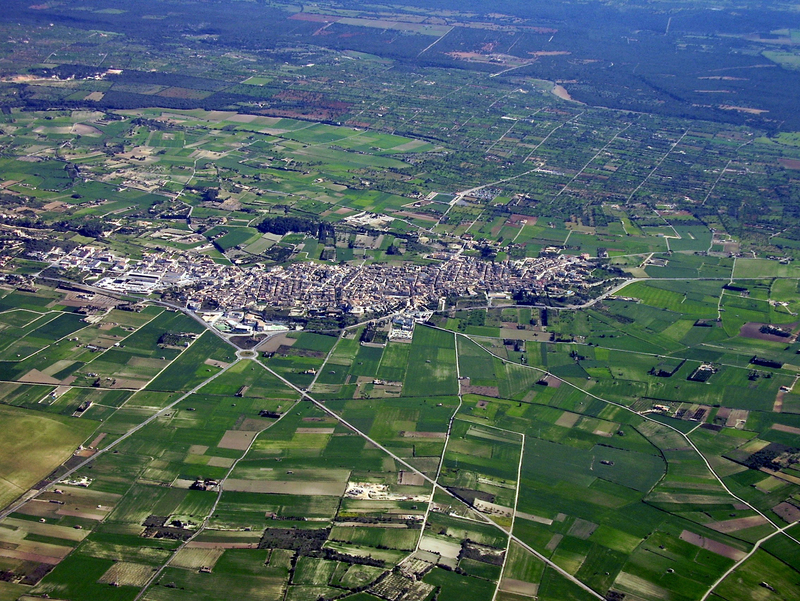 With a population of about 6800 inhabitants, Can Picafort is the most populous city of Santa Margalida itself (about 3500 inhabitants). Before the development of tourism, the municipality of Santa Margalida lived mainly from agriculture and handicrafts. The territory of the municipality is very flat and low (100 m on average). The city is dedicated to St Margaret of Antioch, martyr whose legend says she was swallowed by a dragon, but came out of the belly of the monster piercing through a cross. His martyrdom continued and she died beheaded. 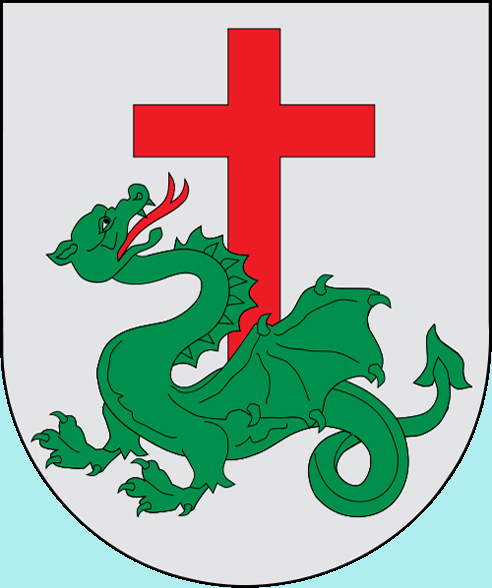 In Castilian Spanish, Santa Margalida is named Santa Margarita. 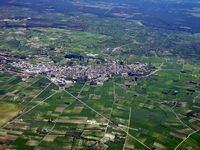 The city of Santa Margalida is 10 km from the north-east coast of Mallorca, which is separated by a wooded area. Santa Margalida is distant 45 km from the island’s capital, Palma. 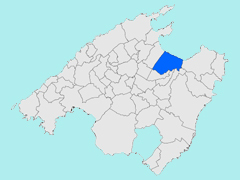 The municipality of Santa Margalida is adjacent to the municipalities of Muro, northwest, and Llubí, west, of Maria de la Salut south, of Ariany and of Petra southeast, which are also part of County Plain of Majorca (comarca d’Es Pla de Mallorca). The town is also detached from the commune of Artà, in the east part of the county of Levant (comarca de Llevant) is the Torrent de na Borges between Santa Margalida of Artà. 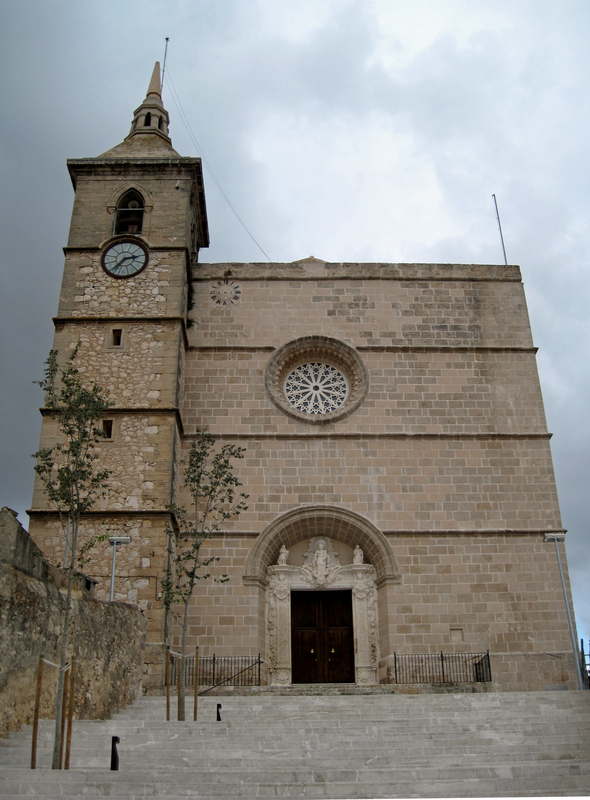 The parish church of St Margaret was built in the sixteenth and seventeenth centuries, from 1560 to 1679, to replace a church dating from the thirteenth century (built in 1232, shortly after the Catalan conquest and mentioned in 1243), became too small because population growth of the sixteenth century. Access to the main entrance is via a staircase built in the last third of the seventeenth century. 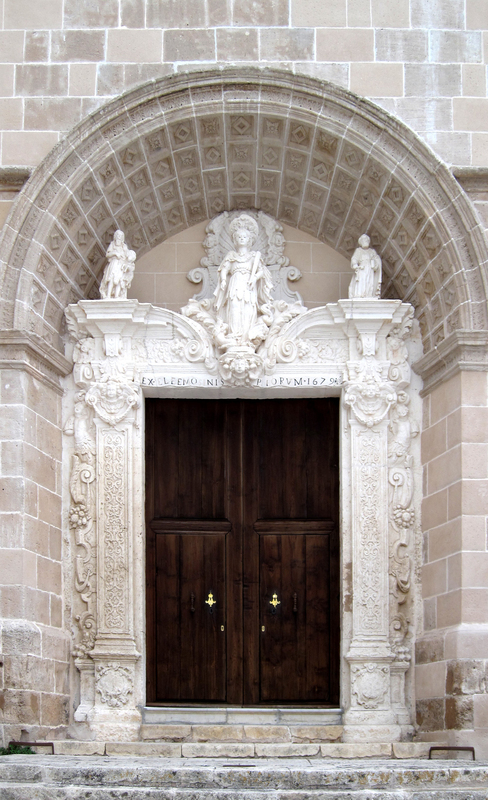 The main portal, known as the "portal of women" is richly decorated in Baroque style, with the center a statue of St. Margaret. The tower, built between 1853 and 1855, is a square tower topped by a pyramidal structure. The interior of the church of St. Margaret has a single nave and six side chapels. 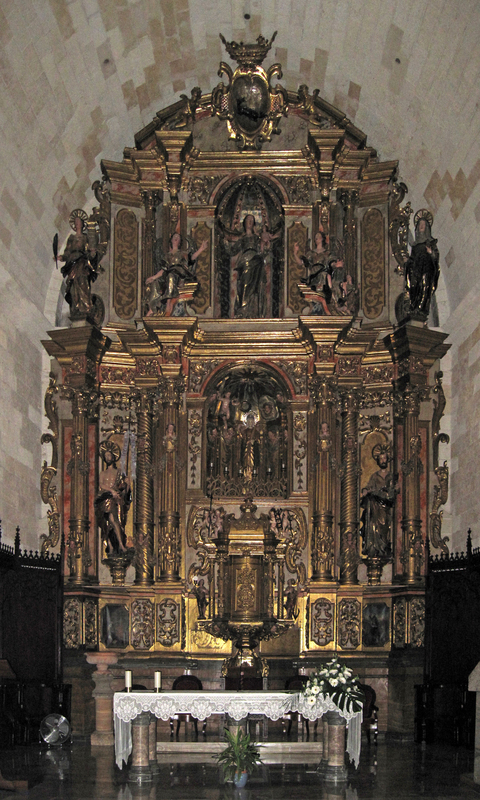 Most notable are the altarpieces, including the Gothic altarpiece of St. Margaret (second half of the fourteenth century), which is a good example of the Majorcan school Sienese influence. Son Serra de Marina is a small resort mostly frequented by the Majorcan population of the region, which is built small homes. The resort is much quieter than Picafort, located 12 km to the west, which was invaded by mass tourism. Son Serra de Marina has a small marina. A few kilometers west of Son Serra de Marina is the talayotic necropolis of Son Real.